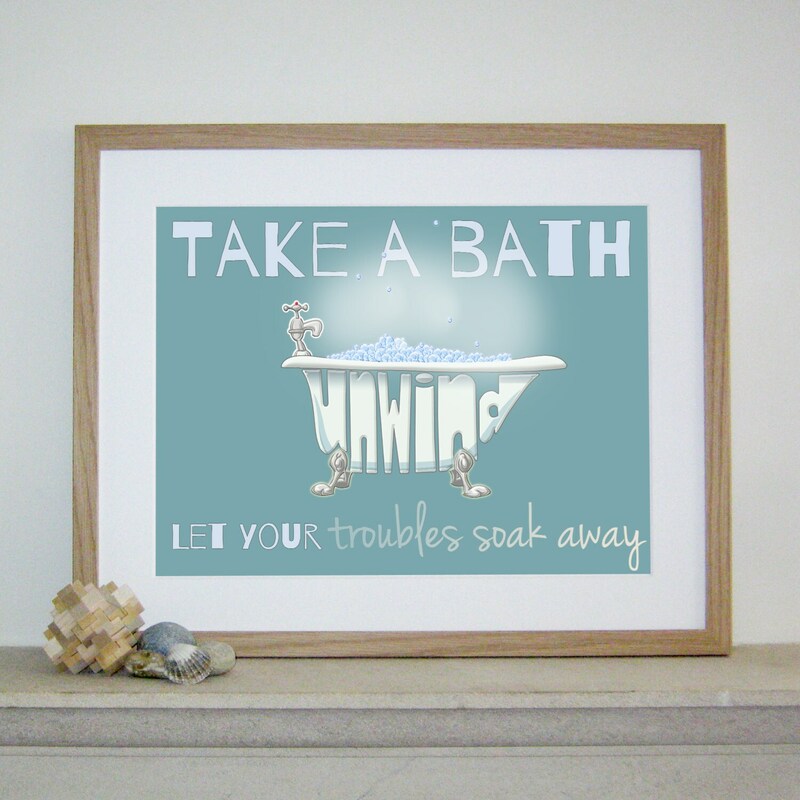 A contemporary typographic bathroom print with a Name Art bath design, incorporating the word 'unwind'. The perfect gift for a house proud friend, or maybe a treat for yourself? The prints are printed to order and and presented unframed. 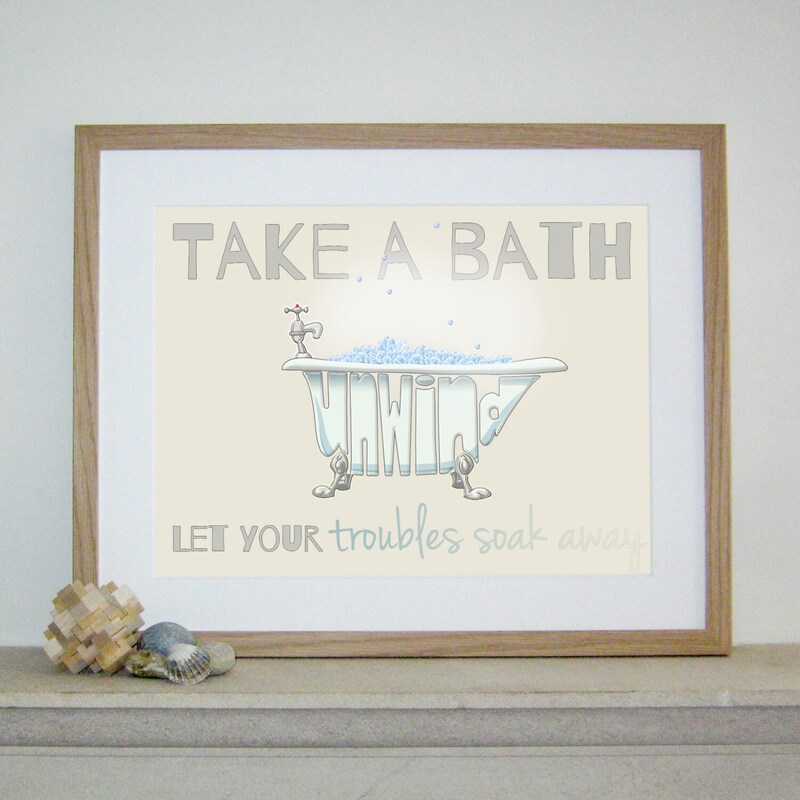 Available with a blue background or a cream background. Other colour backgrounds available on request - please 'ask the seller a question' for alternatives.